This is a copy of an earlier blog. At this writing, Laurie Travis is in Florida following up on her sister’s disappearance. I will post any updates as they become available. I have a theory that cannot be proven. I believe that for every single missing person there is at least one person who knows where he/she is. The reason I believe that is most missing people are victims of an undiscovered crime; therefore, you have an offender and the victim. The victim is missing. The offender is out walking around. I also have another theory. I believe that it is difficult for the average person to keep a secret. I believe that most people share their secrets but even the ones who don’t openly share secrets give us hints into pasts they’d rather not let anyone know about. So, this comes to the third leg of my theory; someone knows something about what happened to each of the millions of missing. For each missing person someone is holding the precious key to the locked mystery of what happened. If the country wasn’t suffering from a crisis of morality at the same time we are suffering a missing persons epidemic we’d be able to give answers to so many waiting family members. But unfortunately, morals seem to be at an all-time low. My work as an advocate for the missing has allowed me the privilege of working with many family members who have shared their heart breaking stories with me. I can tell you without the smallest doubt that having a loved one is more devastating than any disease out there. It is a daily suffering that destroys lives, relationships, health, jobs, and finances. When a family has a missing loved one there is no aspect of their life that is not impacted. In many cases, the suffering is never alleviated and people go to their graves after a life-time of indescribable suffering. Closure and justice, that is all Laurie wants. If my sibling was missing, I’d want him to walk through the door one day, happy, healthy, with one hell of story to tell me. But Laurie isn’t even asking for a happy ending. She wants closure. She also wants justice. She just wants what is promised us as Americans; justice for all. I’m going to tell you something about the immoral, like the person who knows what happened to Rose Marie Gayhart. That person won’t wake up one day and find their morals lying in the bottom of a dresser drawer and decide to finally use them. What happens is people, people like you and me, not just law enforcement, ask questions and ask questions and ask questions. We make them feel uncomfortable until they make a mistake, slip up and get caught. Perpetrators must be made aware every waking moment of their lives that someone is looking for the truth. Rose Marie Gayhart was raised in Dansville, New York. Her early life was never easy. She made a series of very bad choices. Some of those choices lead to dire consequences. She plead guilty to criminally negligent homicide in the death of her 6-month old son, Danny Shaver. Danny’s father was in prison at the time for burglary. Rose’s sister claims it was actually Rose Marie’s boyfriend, Kevin Burns, who was responsible for Danny’s death. But he was never charged. Rose also had another child she gave up for adoption. It’s easy to see what path Rose Marie’s life was taking. But Rose Marie was given another chance and she took it. She moved to Florida with a new boyfriend, Bobby Paddock and his mother, Dorothy Rittenhouse. Bobby had a job carpet cleaning and Rose bragged in a letter to her sister of his salary. Rose had a job at a hot dog stand, not much, but it was a start. Things seemed to be turning around for her and she was taking the new beginning. She wrote to her sister of the hopes of buying a home in Cape Coral, Florida. In her last letter home to her sister she sounded happy, albeit lonely. She asked her sister to consider moving to Florida and even if she wouldn’t consider moving she encouraged her to visit. She also wrote her sister that Bobby’s mother is “losing her mind” never quite explaining what that meant. At this time, they are living in a camper, quarters are tight and there is some suggestion that there are tensions between Rose Marie and Dorothy. Then Rose Marie is gone. About two weeks after Rose Marie’s upbeat letter to her sister, Rose Marie’s mother received a letter from Dorothy Rittenhouse. The letter was to inform Rose Marie’s mother (also Dorothy) that Rose Marie had disappeared. Dorothy Rittenhouse painted a terrible picture of Rose Marie, one where she sat around, spent time drinking in bars with men, stealing money from Bobby and having a temper tantrum where she destroyed Bobby’s National Guard uniform and personal papers. Rose Marie had mentioned to coworkers that she was not getting along with her boyfriend. A neighbor claimed she witnessed a big fight between Rose Marie and Bobby where Rose claimed she was pregnant and wanted to have the baby. Bobby wanted her to have an abortion. The argument ended with Rittenhouse throwing Gayhart out of the trailer. The neighbor claimed she saw Rose Marie walking down the road with a suitcase. That was the last time anyone ever saw Rose Marie. I’d be willing to believe that Rose Marie walked down that Florida road to her unknown fate and let that be the ending but three things keep bothering me. Dorothy, in her letter to Rose Marie’s mother says that she bought Rose Marie a bus ticket to New York and Rose Marie refused the ticket. Dorothy claims she went to the Sheriff’s Office to give them the “proof” of the offering the ticket to Rose Marie. She wrote to Rose Marie’s mother, “Sorry but I can’t do anymore if I find her I’ll be sure give the ticket and if I can’t find her I’m covered—because I have proof—” The question that needs to be is asked is what does Dorothy need proof of? Why does she need to be “covered’? Why did she feel the need to show the Sheriff’s department an unused bus ticket? The second thing that bothers me is that I have no doubt that Rose Marie would have returned to New York if things went bad with Bobby. In her letter to her sister she writes about wanting to visit New York while Bobby is off on his three-week National Guard training. She writes, “I would like to come home then, if I’m not working, but Bobby refuses to let me. I think he’s afraid that I won’t come back <smiley face>. I’ve got him spoiled.” Rose Marie was not averse to returning to New York. She had loved ones there. The third thing that bothers me is that according to Rose Marie’s sister, Bobby Paddock failed a lie detector test. While failing the test is not proof that Bobby knows Rose Marie’s where-a-bouts it does indicate that he has not been honest with investigators. I know why this case has been shuffled and reshuffled and generally forgotten. At one point the Florida police actually handed off the investigation to the Livingston County, New York investigators. Laurie thinks that police think that searching for Rose Marie Gayhart isn’t worth it. They believe she is the kind of girl that got what she deserved. 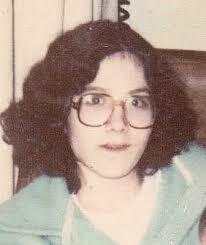 But this case is as much about Laurie Travis, Rose Marie’s sister, as it is about Rose Marie Gayhart. Like the police, you may draw some judgment about Rose Marie. As a mother I had trouble writing about Rose Marie. How can I write about a woman who plead guilty to the death of her son? But justice is for all, not just good people. Though I would disagree, many believe that Rose Marie has gotten her justice. But I can assure you Laurie Travis has not. I know that Laurie Travis is suffering. I know her suffering is undeserved and I know it is time for her to have closure and justice. So, it’s time for the police to open the investigation again. It’s time to start asking questions. It is time to start making people feel uncomfortable. It’s time to start asking people, “Hey, what ever happened to Rose Marie?” Someone knows what happened to Rose Marie Gayhart and Laurie Travis is waiting for that answer.